The future Loop 202 South Mountain Freeway will see some of its first drivers on Monday. A small stretch of the freeway will be used as crews work on the 17th Avenue and Desert Foothills Parkway interchanges. The traffic shift will start around 5 a.m. Monday, February 11. Traffic from both directions of Pecos Road between 17th Avenue and an area west of Desert Foothills Parkway will begin using a temporary alignment on the freeway’s future eastbound lanes. 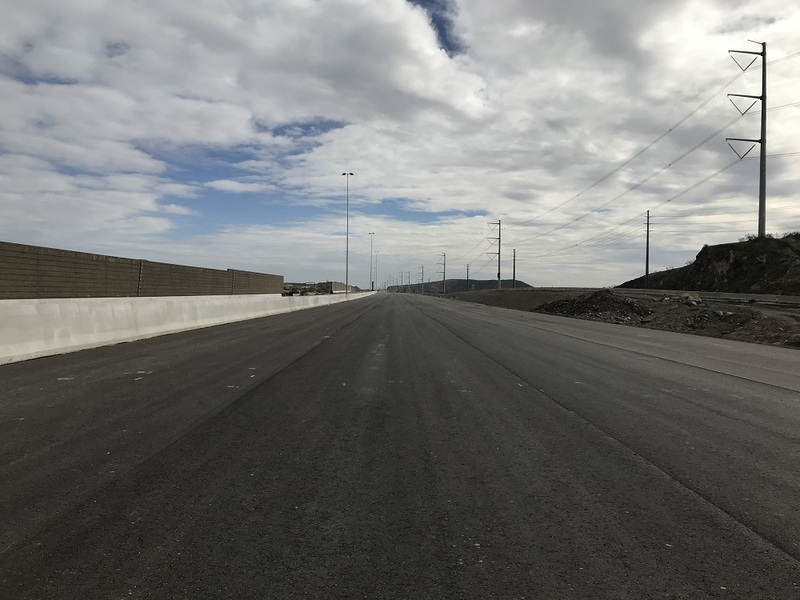 This 2-mile stretch will be reduced to one lane in each direction, connecting with 17th Avenue using what will become the westbound Loop 202 off-ramp and with Desert Foothills Parkway using the westbound Loop 202 on-ramp. ADOT works to inform the public about planned highway restrictions, but there is a possibility that unscheduled closures or restrictions may occur. Weather can also affect a project schedule. To stay up to date with the latest highway conditions around the state, visit ADOT’s Arizona Traveler Information site or call 511.